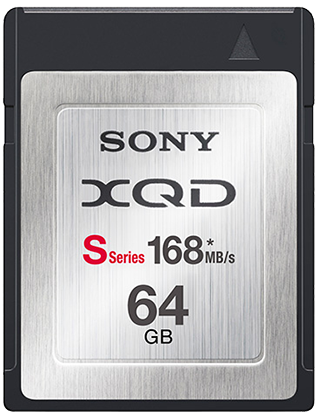 With the newly announced S series of XQD memory cards, Sony has increased the speed of the (already the fastest available) memory cards. The new cards have read/write speeds of (up to) 168MB/s. The previous H series XQD cards “only” went to 125MB/s. With 168MB/s they actually surpass the theoretical maximum speed of Compact Flash cards! 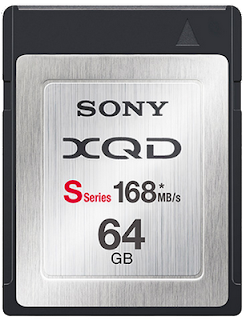 The S series XQD cards will become available (in Europe) this month in sizes of 64GB, with 32GB memory cards planned later this year. Note: Currently Sony is the only maker of XQD memory cards (and readers), with the Nikon D4 the only digital camera to accept these cards. With more demanding cameras (megapixels, frames per second, video, etc. ), the need for speed as well as storage capacity will keep increasing. Compact Flash is nearing its theoretical limits, it is therefore likely XQD will see more followers in the future.